Kids love to follow other kids – as in this very special Yoga Calm class led by 12-year-old Haley, with original music performed by Rylie, another student in the group. Through yoga, storytelling and beautiful HD footage of eagles in the wild, Kids Teach Yoga: Flying Eagle creatively teaches children the qualities of the eagle: strength, focus and caring. Social skills and team-building activities from Yoga Calm’s award-winning, research-supported curriculum are also included in the class, where each child contributes by taking turns leading and giving each other compliments. The group serves as an excellent model of cooperative, supportive behavior and community. 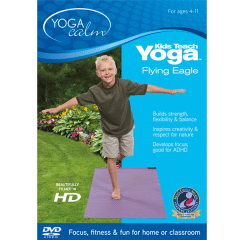 Ideal for use at home and in the K-5 classroom, Yoga Calm’s Flying Eagle makes the yoga experience enjoyable, imaginative and exciting for kids ages 4 and up. 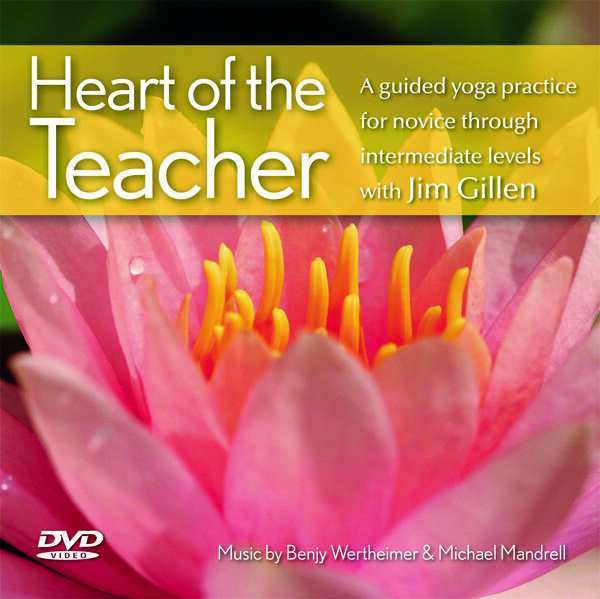 A great companion to the award-winning book Yoga Calm for Children: Educating Heart, Mind and Body! Preview available on YouTube: http://www.youtube.com/watch?v=7bvz5q546UM.